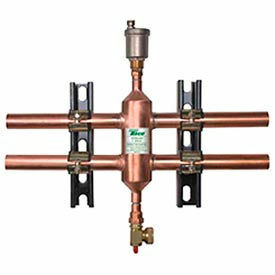 "Motorized Zone Valves For Hydronic Heating And Cooling Systems Are Available In A Range Of Models To Meet All System Requirements. 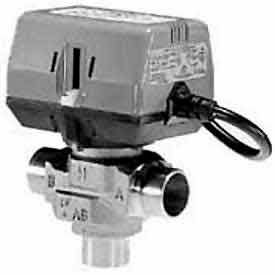 Motorized Zone Valves For Hydronic Heating And Cooling Systems are solidly manufactured for long lasting durability and dependability. Various Honeywell and White-Rodgers™ brand units provide control for the flow of hot water, chilled water, central heating and/or cooling systems, fan coil systems, radiators and convectors and low pressure steam. Available for 1/2, 3/4, 1 and 1-1/4 inch pipe sizes and wide range of 1 to 42.2 Cv flow capacities. Taco® 5000 Series Mixing Valves Provide Fail-Safe Security In A High Flow, Low Headloss Valve. Taco® 5000 Series Mixing Valves are made of a nickel plated, cast gunmetal body for long lasting durability. Offers extended mix temperature range of 85-150°F. Provides ultimate performance across multiple mixing and diverting applications. Features shut-off reliability on either hot or cold water supply failure. Used for domestic water, radiant applications, installations with large variations in flow rate and supply conditions, and installations requiring tightly controlled water temperature. Includes a tamper-proof cap. ASSE 1017 approved. Available connection sizes are 1/2", 3/4" and 1". Replacement Internals sold separately. Mixing Valves Are Used For Hot Water Heaters And Boilers To Blend Hot And Cold Water And Ensure Constant, Safe Outlet Temperatures. 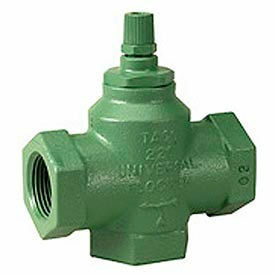 Mixing Valves include an ASSE 1017 mixing valve, cold water tee fitting and flexible stainless steel connector. Fits virtually all water heaters up to 1" with all necessary adapters included. Provides constant water temperature under different operating conditions. Meets ASSE 1017 standards. Corona Series of Compact Rotary Valves and Actuators (V5442) provide integrated mixing of boiler supply, boiler return, loop supply and loop return water in hydronic heating systems. Very effective for low temperature loops such as radiant floor heating. 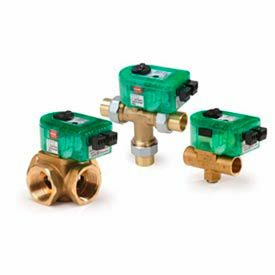 Honeywell 4-Way Mixing Valves are also available. Sizes vary. Taco® Cartridge Style Pressure Reducing Valves Feed Water Into Systems When Pressure Drops Below The Setting In The Valve. Valves are made for superior output pressure stability. One-piece cartridge build reduces diaphragm load and extends overall product life. Balance is constantly maintained between diaphragm position and spring tension for superior performance. Encapsulated shaft seal system prevents flowing media from contacting the diaphragm. One-handed fast-fill lever speeds system filling time. Stainless steel coaxial strainer ensures system debris will not affect performance. Internal parts are made from stainless steel and engineered plastics. Bronze body. ASSE approved. 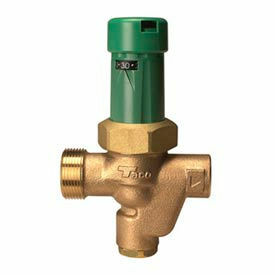 Taco® iSeries Mixing Valves Are Used For Precise Dial-In Temperature Control For Heating Systems. Mixing valves ensure optimal temperature control with boiler protection. Offers 2-way injection and 3-way or 4-way mixing. 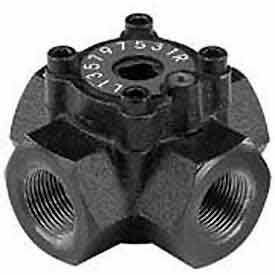 Valves operate off constant power or relay end switch. Fail-safe mode and sensors included. Outdoor reset control is built in. 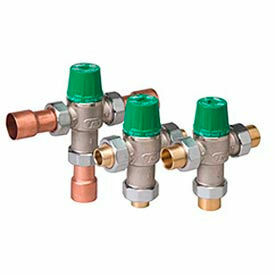 Valves may be set to do a zone-by-zone outdoor reset for optimal comfort control in multiple zones. Multi-status LED indicator light, plug-in wiring connections and easy-to-remove actuator. Setpoint temperature is adjustable from 80°F to 180°F. Taco® Boiler Feed Valves Automatically Feed Water To A System Whenever Pressure In The System Drops Below The Pressure Setting Of The Valve. Valves are adjustable from 10 to 25 psi. Built-in check prevents emptying of the system if incoming pressure fails and the fast fill lever is lockable. Dual Control Valves combine the boiler feed with an in-line pressure relief valve. Taco® Flo-Cheks Have Dependably Stopped Gravity Circulation In Forced Hot Water Heating Systems For Over 40 Years. Flo-cheks open automatically when the circulator starts running. Thumb screw manually opens the valve. Can be used in systems with multiple circulator zones to allow heat to flow only into the zones that are calling for heat. Maximum operating pressure of 125 psi and temperature of 277°F. Taco® Hydro-Sep™ Hydraulic Separators Are Compact Units That Allow Fast And Efficient Installation Of Primary/Secondary Piping For Many Different Boilers. Assists in the removal of unwanted air and dirt particles, preventing their damaging effects on system components. On systems using boilers with higher pressure drops, these hydraulic separators allow use of smaller zone circulators. Made using all copper body with brass drain valve and air vent. Used for use with oxygenated water heating systems. Includes wall mounting brackets. Maximum operating temperature of 240°F and pressure of 350 PSIG.